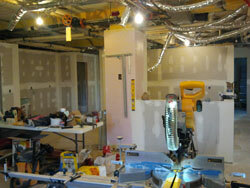 Sheetrock is up in the William Home! The facilities crew is now working on outlets and ventilation. While other folks are taking down their Christmas decorations, we’re still getting ready to celebrate when all our students return. Last weekend two school groups, one from Barrington, Illinois and one from Watertown, South Dakota brought out some wonderful clothes and toys they’ve been collecting. As the houseparents return, we’ll check sizes and wish lists to find good matches for our students’ needs. While many of our child services staff have had vacation time, staff in the development office have been faithfully answering mail and phone requests. The facilities crew has used this quieter time for projects like touch-up paint jobs and preventative spraying for bed bugs, which are jobs best done when the homes are empty. They’ve been moving full speed ahead on several projects. 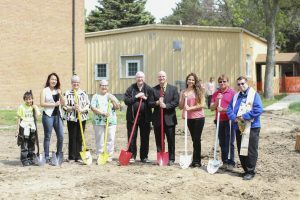 The Summerlee Home renovation is almost complete, and those fourth and fifth grade girls should be moving back in a couple of weeks. The William Home will take a few more months, but the dry wall is up and the crew is working on the behind the scenes (and walls) items like electrical outlets and ventilation. Fewer students means fewer vehicle trips over break. The school bus was in the garage getting a check up to make sure it’s fit for ball games and school trips once the semester gets going next week. 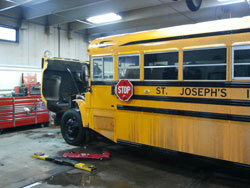 St. Joseph’s bus gets a tune up before second semester begins. We have had a half dozen high school students on campus this past week taking part in basketball practices. Today, the rest of the crew of 42 filtered in. Cars pulled up to one of our five high school homes and kids carried suitcases or slung plastic bags full of clothes over their shoulder and started getting ready for second semester. I spent a little time at each of the homes, welcoming students back. I always hope for happy news. Many of the students had good memories of their time with family, but a few had family struggles and drama over the break. Our houseparents and counselors will help them talk it out and process the disappointments and hurts, and hopefully get them off to a good start here. Author St. Joseph's Indian SchoolPosted on January 2, 2013 Categories Fr. 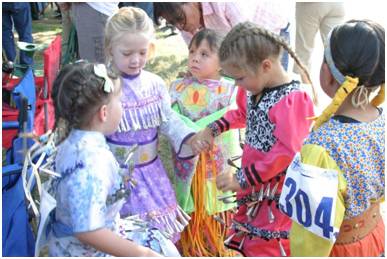 Steve's updatesTags Giving to Lakota children, help children, Helping Native American children, Indian school, Lakota, Native American, South Dakota, St. Joseph's, St. Joseph's Indian School, youthLeave a comment on Christmas is still coming! 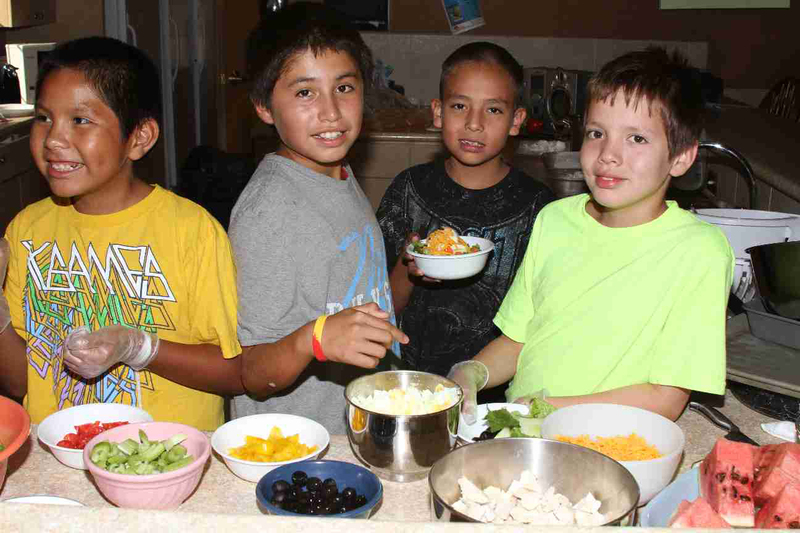 Healthy eating at St. Joseph’s Indian School. In Personal Living Skills class, our Lakota students have been learning about nutrition and food labels. Sixth, seventh and eighth grade students are discussing how people who lead very busy lives may not always eat a balanced diet. Students are then examining their own eating habits and identifying situations in which they did not eat as well as they should have. They are learning that the choices they make now, affect their health and quality of life in the future. We live in a super-sized world! Our perception of an appropriate serving of food is distorted. How much we eat threatens our health. Students are learning to choose foods within the food pyramid guidelines and learning the appropriate serving sizes in food. They are learning how to read food labels so that they are more conscious of what foods to choose and the nutritional value in those foods. Ahhhh, Halloween. It is a great day to flirt with the things that scare us the most, and poke a little fun at the dark side of life. In other words, it’s just another typical day in St. Joseph’s High School Program. I kicked off my Halloween season with parent teacher conferences at Chamberlain High School last Thursday. I really did not need to be afraid. I sat at a table marked “Giles Home” with a printout of my 10 students. One by one, the CHS teachers came by to talk about students’ progress in their classes. We keep close track of missing assignments and grades, so there weren’t any surprises. I heard the usual feedback that students do well on daily work but struggle on tests. The individual remarks were very heartening though. The Giles Home climbing Harney Peak. The following day, the Giles Home departed on a long weekend home trip to Rapid City. We started out by climbing Harney Peak, the highest point in the Black Hills. In the snow. Who’s afraid of a 6 hour hike in the snow, right? 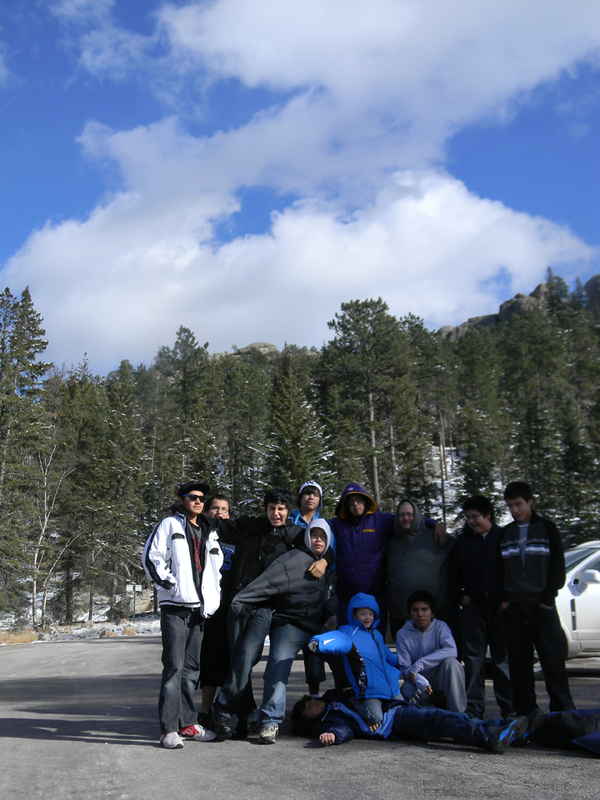 Who’s afraid of not keeping up with 10 guys with boundless energy and the skill of mountain goats? Who’s afraid of not making it back down before dark and having to use an iPhone for a flashlight? What we had to be afraid of was getting in their way at the chow line at Golden Corral afterwards. 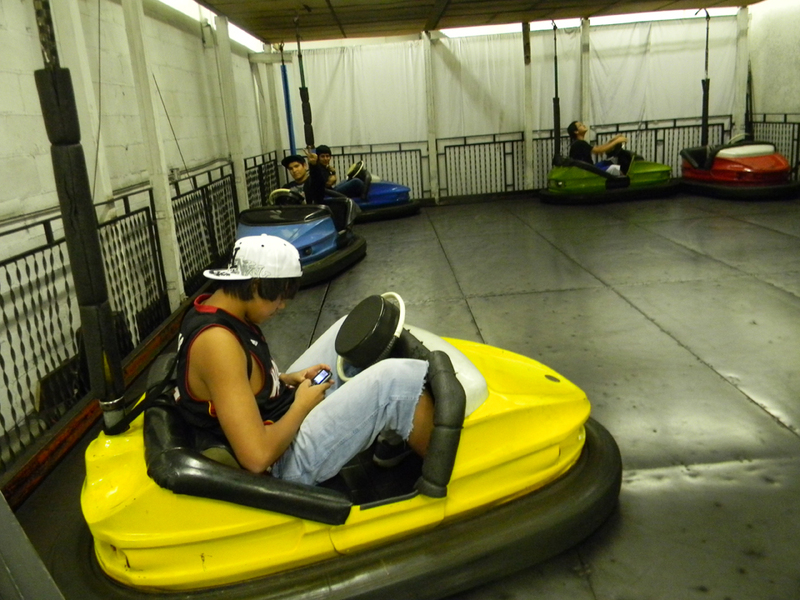 The next day, we took them to Flags and Wheels, where they got to play go-karts, laser tag and bumper cars. This would not be scary, except that houseparents Melissa, Aaron and I are veterans of the high school summer program. We know that these guys are going to be in driver’s ed next year. They demonstrated some serious demolition skills with those bumper cars. Ruthless, I tell you! Who thinks these boys are ready for drivers ed?! 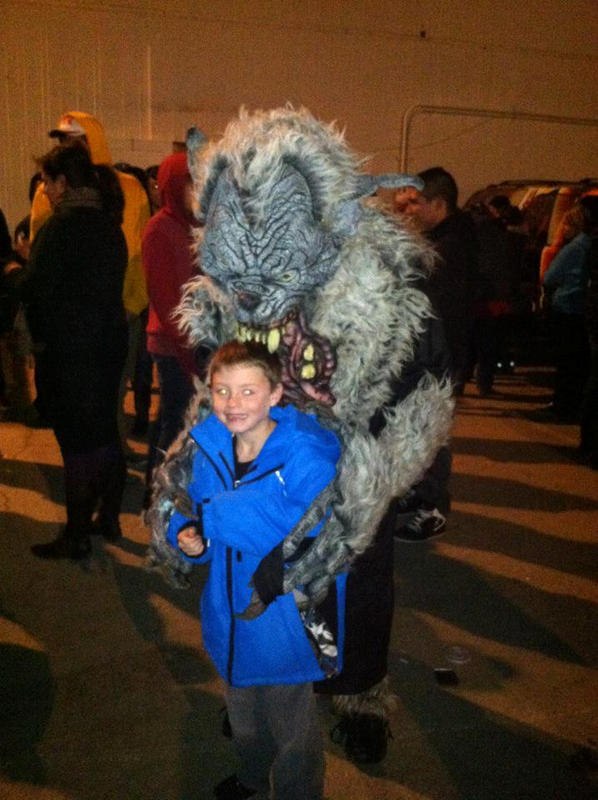 And of course we had to go to a haunted house at the Rapid City fairgrounds. Caden (Aaron and Melissa’s 8 year old son) set the tone by hugging the big scary monster that greeted us in the parking lot. Aww, shucks, how scary could the Terror in the Dark house be? Despite this rather benign first impression, two guys didn’t even make it past the second room before surrendering, “I’m out! !” The rest of the rooms were a blur of blood-curdling shrieks, menacing monsters and guys clinging to each other for dear life. I was NOT the only one screaming like a girl. Yes, some days it is good to be terrorized by things that can’t actually hurt you. Especially if you have good friends nearby to grab onto, and four reliable houseparents to make sure you get home safely. Honestly, there are things that scare me a lot more than icy mountains, funhouse cars and latex monster masks. Failing at things, for example. I hate failing at things. I go to insane lengths to make sure that projects and plans go off without a hitch. So why am I so twitchy about Halloween this year? Because I have handed the reins over to the high schoolers. This is the first year of doing a high school Student Leaders Group. As part of our mission to prepare the students for life after high school, we are turning over some tasks and responsibilities to the students themselves. We have formed a leadership group with delegates from each of the homes. I act as an advisor, but I’m not actually “in charge” of anything. Right now, they are trying to pull off a Halloween party. Leadership Group has had a rocky start. The first activity they planned was a dodgeball game. It did not happen. The second task they chose was to write a persuasive letter to the HS director in order to change a rule that they didn’t like. That took some coaching on my part. One of the delegates turned in a thoughtful, clear and rational reason that the rule could be changed. Oh yeah! No one else finished theirs though. Augh! The last activity they planned, the Red Ribbon Relay Race (say that 10x fast!) was beset with commitment issues. The leaders who came through worked very hard but ran into unforeseeable difficulties. Can anyone really divide a bunch of half-frozen kids into small groups and convince them to run around in a circle? Note to self: get a bigger megaphone. It is the day of Halloween and we are still working on a plan for the party. This is where that fear of failure raises its ugly head. I have to resist the urge to take over and tell people what to do, or worse, do it myself. Because the point of all of this is not to have an event go perfectly. The purpose is for the students to make a plan, make adjustments, make concessions, make mistakes, make corrections and make the best of it. My purpose is not to decide for them what is possible. The purpose is for them to figure out what they are capable of doing. We ended our planning session on a positive note. Each delegate has a list of things s/he is responsible for. They have a best-case plan and a back up plan in case that doesn’t work out. A lot of this means them asking for what they want, and deciding what to do if they can’t have it. They have done an impressive job foreseeing obstacles and brainstorming solutions. This means that they are moving away from accepting “No, that can’t be done,” and moving towards finding ways that it can be done. Anyone who works with teens knows that this can be scary and exhilarating. What if the kids start thinking for themselves and *gasp* start asking questions? What kind of a monster have we awakened?! Hopefully, some sort of quasi-adult, thoughtful monster. I guess we’ll just have to wait and see.